This past Sunday, America stood together to remember the lives lost in the greatest terror attack on the nation’s soil in history. On September 11, 2001, 2,977 Americans perished as several planes were hijacked and crashed into the twin towers, the Pentagon, and an unsuccessful hijacking that crashed in Pennsylvania. This year was the fifteenth anniversary of these horrendous attacks. 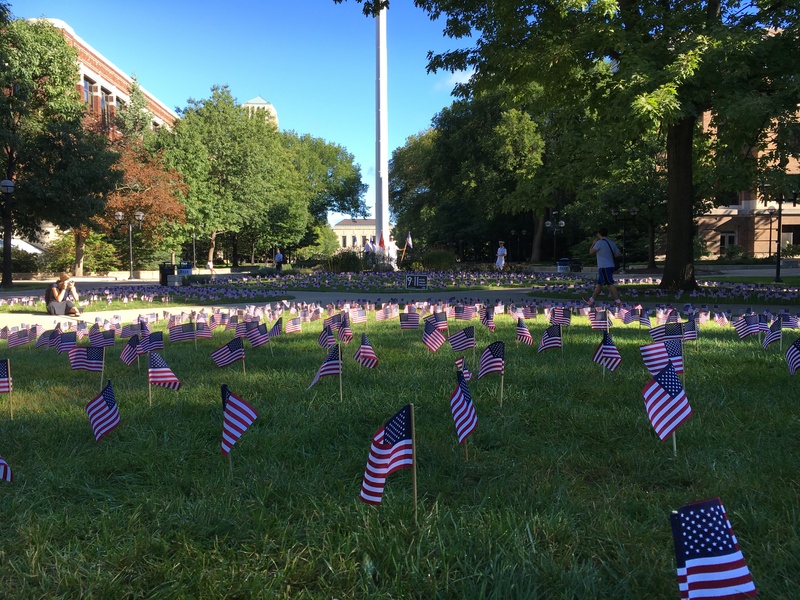 For the past few years, the Young Americans for Freedom at the University of Michigan have placed 2,977 flags on the Diag as part of the Young America’s Foundation 9/11: Never Forget Project.